When you stay at Hotel Lido Mediterranee in Taormina, you'll be on the beach, within a 10-minute drive of Taormina Cable Car and Corso Umberto. This 4-star hotel is 2.6 mi (4.2 km) from Greek Theatre and 4.6 mi (7.4 km) from Isola Bella. 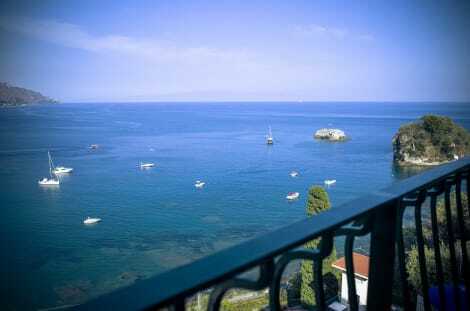 The Bay Palace Hotel is located in Mazzarò, the wonderful Taormina seaside, in a peaceful and panoramic position. 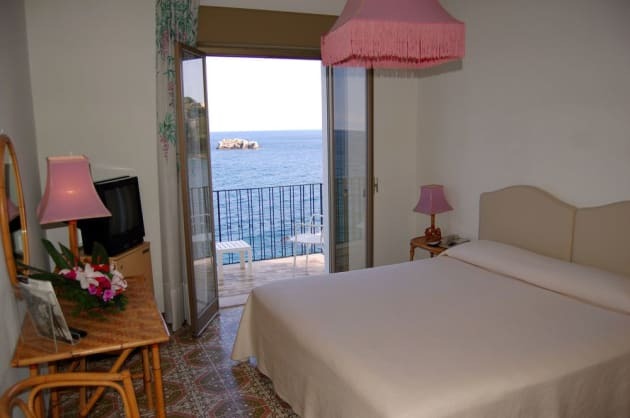 The hotel is also close to the wonderful beaches of Spisone and Isola Bella, and to the cable-way station for the historic centre of Taormina. Spend moments of relax in the common hotel area, tasting a cocktail in the pleasant bar, or enjoying the charming panoramic view from the terraces, or simply reading a book in the cosy reading area. The panoramic restaurant offers typical and international cuisine, with a personalised first-class service. Each morning a delicious breakfast of fresh fruits, fruit juices, freshly baked bread and brioches, yoghurt, cereals, croissants and typical dishes, is served. On-site parking is free, yet has a limited availability and reservation is not possible. 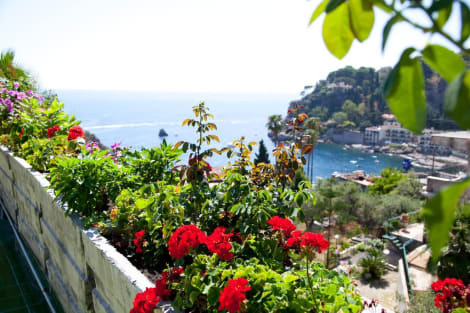 Hotel Ipanema overlooks the Bay of Mazzarò, and is a 2-minute walk from the cable car to Taormina's historic centre. It offers a small car park free of charge. All rooms at the Ipanema are air-conditioned and feature a private balcony. The sun terrace with swimming pool offers beautiful sea views. The Ipanema Hotel also has a private beach with spa pool, just one km from the building. Make yourself at home in one of the 65 air-conditioned rooms featuring minibars. Complimentary wireless Internet access keeps you connected, and satellite programming is available for your entertainment. Bathrooms have bathtubs or showers and hair dryers. Conveniences include safes and desks, and housekeeping is provided daily. With a stay at Hotel Villa Bianca in Taormina (Mazzaro), you'll be within a 15-minute drive of Taormina Cable Car and Corso Umberto. 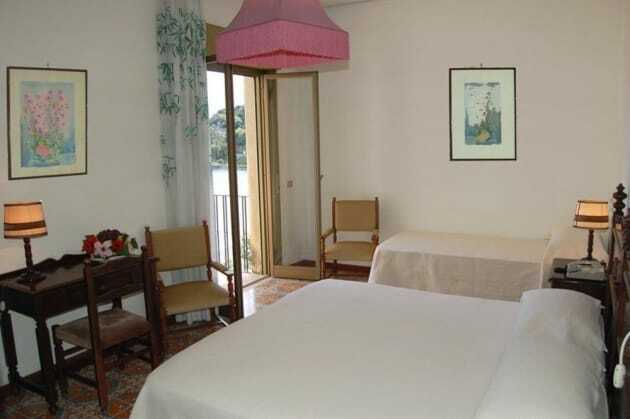 This 4-star hotel is 0.4 mi (0.6 km) from Isola Bella and 3.3 mi (5.2 km) from Greek Theatre. 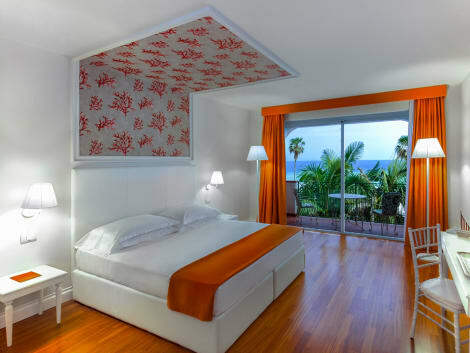 Overlooking the Mediterranean, the modern Hotel Caparena sits by a private stretch of Taormina’s beachfront. The hotel has lush gardens, a restaurant which offers sea views and local specialties, 3 bars, a relaxing wellness centre with high-tech gym and a pool. Rooms are furnished in an elegant modern style, with terracotta or parquet floors, heating and air conditioning, minibars, satellite TV, electronic safes and private bathrooms. Featured amenities include express check-in, express check-out, and dry cleaning/laundry services. A shuttle from the airport to the hotel is provided for a surcharge (available 24 hours), and self parking (subject to charges) is available onsite.